Who is to Blame? The Swimmer or the Coach? Swimmers and coaches- they go together like chlorine and pools. A swimmer cannot succeed without a coach, and likewise, a coach without a swimmer is nothing. The importance of this relationship cannot be measured with any real unit and it is often not truly appreciated fully by either party until poolside interaction has ended. One of the hardest things a swimmer must deal with is losing one coach and finding another. It can truly be a career-altering ordeal. I have personal experience with this, having lost the three coaches on my college team all at once and having a whole new coaching staff installed before my senior year. Let me tell you, it was not easy. I competed for the University of North Carolina Wilmington for four years in the Colonial Athletic Association. Our program was unique because we had the same head coach who founded the program back in the ’70s. Coach Dave Allen had a system that he had perfected and used every year to great success. Our team was rich in tradition. Coach Allen retired after winning his 13th consecutive CAA Men’s Swimming and Diving Championship in 2014, after almost 40 years with the program. With Coach Allen’s retirement came a brand new coaching staff that was different in every possible way; the most notable difference being their youth. The coaching staff had to make a difficult decision– to follow in Coach Allen’s footsteps and make very few changes or to radically change the program and make it their own? I believe that this dilemma was intensified due to the pressure of trying to extend a conference championship winning streak. The new coaching staff decided to lean more towards the radical changes, many of which were hard and met by harsh criticism by the athletes. The streak of conference championships ended and the finger was pointed in every direction as to the cause of it. Coaching transition is hard for both parties involved. The purpose of this article is to remind all of the swimmers out there that coaches are people too. Too many athletes blame poor outcomes at their competitions on their coaches. It is always easier to deflect blame and put it on others. Negativity runs rampant after swim meets. The automatic response for a negative swim for many swimmers is to blame a bad taper and the coach in charge of this taper. Coaches are not robots. They make mistakes and are allowed to make these mistakes. They spend countless hours trying to create new and exciting workouts for their swimmers. Blame is often thrust unfairly on coaches for messing up a taper, or something else of that nature. Every swimmer is different. It is incredibly difficult for coaches to adapt a taper progression to each swimmer individually, especially if they have a large team. Coaching is not a science, and like most things, is developed through repeated trial and error. I highly doubt there is a single coach in the world that would deliberately mess up a swimmer’s taper. The blame cannot be put solely on the coach, nor can it all be on the swimmer. Swimmers, remember that not every race is going to be perfect. Bad tapers sometimes happen. But just because your first swim of a meet isn’t what you wanted, doesn’t mean that the whole meet will follow suit. Mental attitude plays a huge part in how you swim, so don’t get discouraged after one poor race. Keep your head up and stay positive. Finally, a personal word of advice for all of you future collegiate swimmers: don’t choose a school based solely on a coach or coaching staff because there are absolutely no promises that they will stick around for your whole career. Trust that whichever coaching staff is in place has your best interests in mind. They want you to succeed in the pool and in life. Although their methods may seem unconventional and even radical, they’re usually worth giving the old college try. If you have the chance to learn from a wide variety of coaches in college, seize that for what it is– an opportunity. Blame? If the swimmer had a bad swim there could be a lot of reasons. If the swimmer has a lot of bad swims, look at both the coach and the swimmer. Sometimes there is a good relationship and sometimes not. Before we immediately start blaming, why not stop and think about what may or may not be going on. If every swim was a good swim then what would define a ‘good’ swim? The bad swims/runs etc make the good ones sweeter! ? Good swim, good swimmer. Bad swim, bad coach…just kidding, but really. 1 – The biggest thing your coach did wrong was not to teach you that YOU make the taper, not the coach. The coach will plan a taper to the best of his/her ability, but the swimmer is only at the pool for an hour or two max per day at that point. That leaves 22-23 hours in the day that the coach has no control over. Before blaming the coach, I suggest the swimmers need to look in the mirror and figure out if there was anything they could have done better themselves (sleep, nutrition, attention to detail, academics, etc). If the swimmer really did everything right, then you can put the blame squarely on the coach. No matter what you or your teammates say, not all of you did everything right. In fact, I’d bet the people blaming the coach the most are the same ones who did the least to help themselves. In my experience of 20+ years of coaching, it is usually the swimmer who has messed up the taper by not doing what he should. Twice in my career I have had a swimmer who really did it all right and didn’t swim fast. That really killed me. But the other 99% of the time, it was usually pretty apparent why the taper didn’t work and that was 100% something the swimmer was doing outside the pool. 2 – you can’t miss a taper, but you can miss a season. Taper isn’t magic. It fine tunes what you have done in the months prior to it. Again, look in the mirror and see if there was anything you could have done better. As a coach, I do that every year. Most of my swimmers experience looking at themselves first and then the coach for the first time in college on my team. “Wait, you mean I’m responsible for my own swimming? I thought you were this amazing coach and I didn’t have to do anything except do what you said and I’d go fast”. You own your swimming. Did you spend every minute of every practice actively trying to get better, or just making the sendoff? I can give you the best training program in the world, but if you don’t do it better than you have ever done it before, how can you expect to go faster? Can you not think of one thing you could have done better? If you’re not getting what you want out of your coach, talk to your coach. If you can’t even take that step, you deserve to perform exactly as poorly as you did. Your coach changed, too bad. You can either quit, transfer, or find a way to make it work. None of those options are on the coach. Good article… Thanks for the write up. You had a good college career and it was great watching you compete. Here’s the real lesson you were taught this season. Change is inevitable!!! I’ve had to manage through change in my professional life literally for decades, and how you respond to change will determine the success you have during those transition periods and over the long haul. In life you will likely have many bosses within different organizations. The key is to draw from every experience and keep the attitude positive and stay determined. Thanks again for offering up your thoughts. When coaches change, it’s important for the coach to work with swimmers on what works. Starting the trial/error process from Square Zero can waste a season or year. The swimmer knows what has worked for him/her in the past. For instance, some swimmers taper dramatically and some minimally. And same with regular season practices. Two-way communication is key. I just learned to swim 4 years ago at age 44 so I could compete in triathlons. I have had a few coaches and my most recent one really connected with me. I have made vast improvements in the last 10 weeks. Amazing! I don’t always want to do what he wants, I can’t always do what he wants but I put forth the effort and I have have succeeded. I don’t compete in pool swims, just triathlons, not sure if there is a difference. Why even play the blame game? People blame everything that goes wrong on others, so why should swimming be any different? Try facing a situation where your coach retire, the school where you used to train close the pool to learners from that school only and the club close down. So No coach, no club, no pool – what kind of plan will you make to keep on swimming. Makes the topic of this article looks easy to deal with ……. 2 years down the line and there is still no club, no pool or coach so we had join a remote club, join a gym to gain access to a pool to swim and Dad is doing the coaching – now progressed to doing ASCA courses. Be grateful for what you have an work around the rest including water temperature, coaches that change etc. There are those that need to work and make it in swimming without all the above mentioned. You can adapt to a new coach and swimming is something that takes time so look at your own performance and do not blame the coach. Good article Alex. I know for the upperclassmen at UNCW it was a tough transition year. There were unfortunately a number of things that are not connected to either the swimmers or the new coaches that hurt the program this past year. The school administrations attempt to close the program down in the recent past hurt recruiting and also caused a number of talented swimmers to leave the program. A prolonged hiring process that lasted well into last summer after Coach Allens retirement did not help either. My son signed his letter of intent at UNCW just a few weeks before Coach Allen retired. 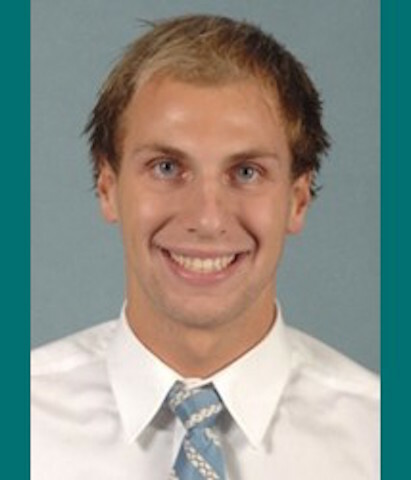 Thankfully there were many other reasons that helped him decide on UNCW beside just the swim team coaching staff. It was obvious to us as new comers to the program that the transition was difficult and some of the upperclassmen and their parents were struggling with the changes. I actually felt bad for the new coaches. It was obvious to me long before the CAA Championships that William and Mary just had a better team. I would not have wanted to come into the situation they did with the pressure of the 13 year streak. No knock on UNCW, that’s just the way it was. Unfortunately for the seniors,for the most part they were disappointed in the way things worked out. Most did not have theirbest swims at the league championships. As a parent who had gotten to know and like these athletes it wax difficult to watch. That being said, a good number of the underclassmen, including my son, had some great swims, lowered their times and did well. I know it was a highlight for him to be on the 400 free relay with you that took second place. The lesson here is that change is not easy and will be something that everyone will have to deal with throughout their life.